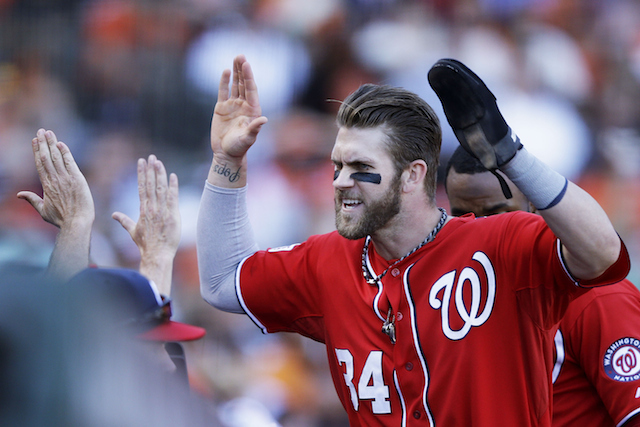 Believe it or not, there are other National League Most Valuable Player candidates this year other than Bryce Harper. Yes, the 22-year-old has put up Ruthian-numbers as far as slugging percentage and OPS, but the fading Washington Nationals could certainly have a negative effect Harper’s chances. A pair of other youngsters meanwhile are leading their respective offenses and have their teams very much in the playoff races as we approach September. The other two players that make up this list are actually teammates that have combined for majestic numbers on a squad that has surprised some to a .500 record entering play on Tuesday. The physical gifts and power that Harper possesses at just a year and 10 months into adulthood is just unfair. Similar to a LeBron James, the Nationals outfielder is living up to the hype that was bestowed upon him at an absurdly young age. Unlike James however, it took Harper a few years after entering the professional level to really turn into a star. If the Nationals are to silence the critics and finally breakthrough and do damage in the playoffs – let alone make it the October – it will likely be on the back of their young MVP-candidate. 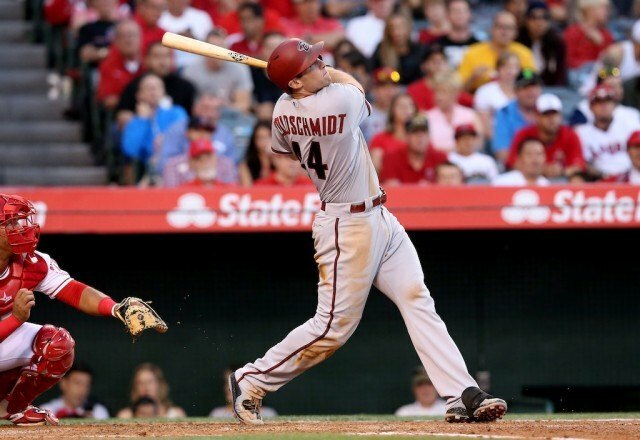 Paul Goldschmidt could very well be the most underrated player in the majors. “Goldy” ranks inside the senior circuit’s top 10 in nearly every offensive category and is among the top five in many as well. However, when asked who the top hitter in the National League is, it’d be tough to find someone whose first response is Goldschmidt. After finishing as the runner-up MVP in 2013, this could be the first baseman’s year for the crown. Buster Posey’s candidacy stems partially from his great numbers, but largely also because of the leadership he brings to his club. While previous stalwart Pablo Sandoval fled last offseason and Madison Bumgarner is the leader of the rotation, the 2012 NL MVP is undoubtedly the focal point of the San Francisco Giants offense. While his stats this year may not end up matching his output of his award-winning season, one would assume that Posey would sacrifice the personal hardware for another championship trophy. Similar to this year’s American League field, the National League finalists appear to be a three-man race; at least for now. Who is A.J. Pollock you might ask? Well, the University of Notre Dame product was the Arizona Diamondbacks first round draft pick at 17th overall in 2009. He made his major league debut in April 2012 and has steadily improved with each season. This is just Pollock’s second full year and he has already set career-highs in at-bats, runs, hits, doubles, home runs and RBIs. Something Pollock has that none of the other candidates has is speed to burn. He entered Tuesday’s action tied for third in the NL in stolen bases with 33. 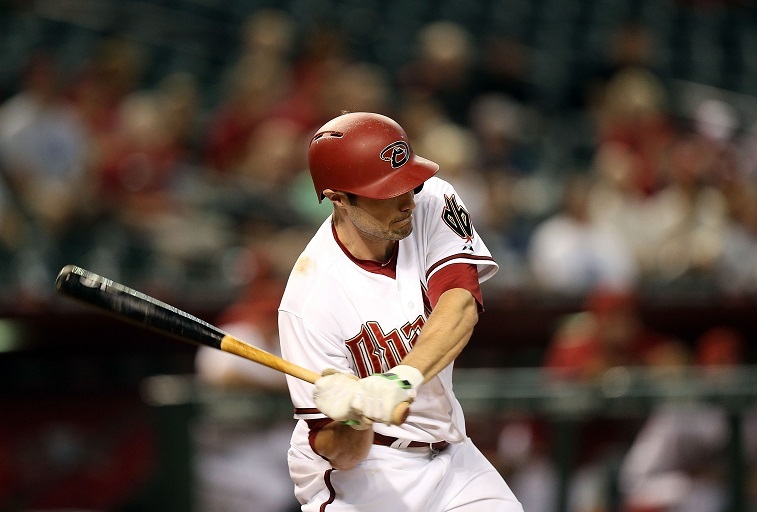 Signed through 2015, one can expect Pollock to receive a significant pay increase on his next contract. Chicago Cubs fans knew that Anthony Rizzo was going to be a stud when they acquired him via trade in January 2012. It would have been hard to predict the immediate incredible success that the big lefty has had though. Along with seemingly an endless train of intriguing youth in the Cubs lineup (particularly in the infield), fans in Chi-Town are salivating at the prospect of contending in the National League for years to come. It was nearly unanimous among baseball pundits coming into 2015 that this roster was built for loads of success, but maybe it would take a couple of years. Led by Rizzo’s bat and couple of co-aces in the rotation, Cubs fans are dreaming big for this fall. All statistics are courtesy of MLB.com and Baseball-Reference.com.